With the racing industry, to some degree at least, still covered in dust from the Darren Weir wreckage, every racing integrity division has to get on the front foot and play their part in the clean-up. In fact, the Weir ‘crash and burn’ scenario has created the ideal opportunity for authorities to revisit, redefine, restructure and, if necessary, re-legislate procedures which have hampered and plagued racing’s judiciary system in the past to the point where ‘justice delayed’ seemed to be the motto under which the system operated. There can be no better example of this than the long-time, ‘elephant in the room’ regarding the adventures of Queensland Racing Integrity Commission and its on-going battle with Toowoomba trainer Ben Currie. Surely, it is time to change a system that doesn’t work effectively. 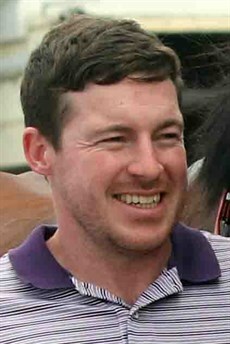 Trainer Ben Currie cannot have a winner these days without attracting some not so complimentary comments around the track about his on-going ‘situation’ with the Queensland Racing Integrity Commission (QRIC} where he is fighting a litany of charges. Currie has a lot of winners … in fact he is the leading trainer by number of winners in Queensland for the season, as he was last season … so there is a lot of talk! That conversation does nobody any good, particularly the racing industry in Queensland as a whole which arguably continues to suffer under the burden of a broken justice system which is well past its use-by date … if, in fact, it ever was a viable option in the first place. That is not to say that individual racegoers should not have an opinion and the right to express it. Far from it. That is part of the lifeblood of the sport but that is not the main point of issue. The main point of issue is also not even necessarily what any accused has done or not done … rather it is how long it takes to get a FINAL guilty or not guilty verdict and put the matter to rest. The bottom line is it cannot take as long as it does, such as in the Currie case, and be seen to be effective. In fact, outsiders looking in, would be forgiven be believing the Queensland Racing judicial process is BROKEN. And don’t talk to me about ‘natural justice’. In cases such as Curries, delay after delay, appeal following appeal often become the order of the day … while the sport and all of those innocently involved in it suffer as a consequence of the ongoing innuendo and the random and sometimes reckless remarks which spread through all corners of the grapevine. So, just whose natural justice are we talking about? Gee they knew a thing or two back then. Here we are one hundred and fifty years after Gladstone first took office. The world is now fast-paced. The lines of communication can now move to a frantic degree, information resources are at our finger-tips, technical advances mean we often just have to push a button to get things done. Combine all of that with the weight of money thrown at QRIC in terms of funding in recent times and the unprecedented resources (under a racing jurisdiction) that they have been allocated and surely it should be all systems go to reach a timely resolution in matters such as the Currie case. Yet, here we are, stuck in gridlock … while Rome burns! I could go on about the concerns of the current state of play … about the fact that QRIC does not get a pass mark on exposed form … ie by doing some things in a way which seemingly can be at least be legally challenged leading to unnecessary delays. Then there is QRIC’s conversion rate … ie guilty findings which hold up on appeal … a tainted success percentage which hardly leaves anybody in fear of making a challenge. And, of course, when that challenge is made to QCAT it ultimately joins the queue of cases pending across the board (not just involving racing) during which time you could arguably celebrate a birthday or two before a case is resolved. Also, that case is then not necessarily judged by people with racing ‘savvy’. None of that is ideal. Little wonder cases stagger, stumble and fall. But, having said that, whatever faults they might bring to the party, QRIC, like everybody else still have to work within a system which doesn’t work effectively and that does complicate their task. They can't be blamed for that … and therein lies the rub. They say don’t criticise unless you have a better idea. So, what would it take to put out the fire? Well, here’s my answer … and please, I’m not a Rugby League or Footy fundi so if I’m missing a point here in asking this question will someone please let me know. So far, nobody has been able to set me straight on this. Why is it that racing cannot adopt the same judiciary system that is followed by Rugby League? Someone is put on report (charged). They face the judiciary panel and post a guilty plea or they fight the charge. The evidence is heard. An (accumulative) points system and graded charge level is in place to help assess the matter. A decision is handed down and it is FINAL. And you want to find another a big bonus in that. The Judiciary Panel, I am told, is made up largely of ex-players or at least people who understand the sport and … wait for it, this all takes place within a matter of days. It is certainly all over within a week. Now I am not one normally pro bureaucracy but let’s get real here. 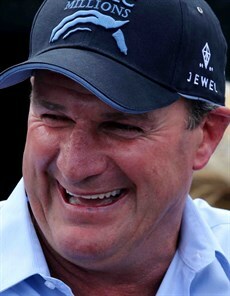 Instead of having most of those charged trying to beat the system (it is an accepted fact that very few just take it on the chin anymore), put a form under the person’s nose when they apply for a jockey’s or trainer’s license on which they will sign their name agreeing to abide by racing’s own judicial system without having the right to step out of that realm of control. Those with nothing to fear from such a decision should have no qualms with putting pen to paper. Yes, I know there is more to the Rugby League Judiciary setup than I have touched on here … afterall, nothing is perfect … but adopting the overall system is what I am talking about. The specific details can follow. So, until shown otherwise, I believe the Rugby League method is sound and should be adopted by racing … but the steps needed to get there might complicate the issue. So, why might it not be that simple? Because somebody has to stand up and take ownership of taking on this mess and creating the change that is needed to clean up integrity issues in the racing game in Queensland. The importance of doing it right, quickly and fairly cannot be exaggerated as has been borne out so completely in the way the Weir case was handled. But all of that will ultimately require new legislation which means racing will have to go the government route again. (Heaven help us). Not a palatable thought … but, if there was ever a necessary undertaking, this is it! The NRL Judiciary is the benchmark for sports disciplinary tribunals in Australia and maybe the world, according to legal academics. Rugby League's disciplinary body received the glowing report in a study by Sydney's University of Technology into the administration of sports justice. Researchers and UTS law lecturers Ian Dobinson and David Thorpe carried out in-depth interviews with members of the NRL executive, the Match Review Committee, the Judiciary and lawyers defending players. The academics also dissected tapes of selected 2004 hearings as part of the study. "Internationally, there is no professional sporting body that has any system which even approximates that developed by the NRL," they said in a statement. The NRL introduced its Judiciary Code in 1998 to create a comprehensive system of offences and penalties to address problems with on-field violence in Rugby League. The code established quasi-judicial body the NRL Judiciary, which is said to be based on a military court martial. "The extent to which the (NRL Judiciary) is seen as an exemplary is evidenced by the adoption of an identical system by the AFL at the beginning of the 2005 season," they said. A lot of water has passed under the bridge since that article was published but there is little to suggest that the original conclusion of that research ie that ‘the NRL Judiciary is the benchmark for sports disciplinary tribunals’ has changed and, as such, there can be little argument against the fact that racing’s judiciary system is in dire need of following such an example. The Darren Weir ‘crash and burn’ scenario has created the ideal opportunity for authorities to revisit, redefine, restructure and, if necessary, re-legislate procedures which have hampered and plagued racing’s judiciary system in the past to the point where ‘justice delayed’ seemed to be the motto under which the system operated. The long-time ‘elephant in the room’ regarding the adventures of Queensland Racing Integrity Commission and its on-going, long running battle with Toowoomba trainer Ben Currie has gone on for far too long. Surely, it is time to change a system that doesn’t work effectively.